A new year has dawned upon us, and for many business owners, this means a time to set new resolutions for a successful year. Whether you’re looking to increase your profits, bring in new customers, or even develop new networking relationships in your industry, the fact remains that trade show marketing can help you make 2017 an insanely profitable and successful year for your business. When many business owners think about their marketing or advertising budget, they tend to think about paid online ads, content marketing, SEO, and the like. Rarely do they consider trade show attendance to fall into this category of spending—but it should. And it does, for the most successful of businesses. No matter what industry you may find yourself in, surely there are a few (if not several) trade show opportunities throughout the year. Consider attending one or more of these events as a means of spreading the word about your business, building brand awareness, and perhaps even recruiting some new clients/customers in the process. Your company can enjoy numerous benefits from an appearance at a trade show; these benefits can greatly outweigh the costs related to attending the event, provided that you come equipped with the right tools and resources for a successful appearance. One of the greatest benefits of marketing your business through a trade show is the potential to generate dozens or even hundreds of new business leads. After all, it’s not unheard of for some industry trade shows to have more than 100,000 in attendance, in addition to countless others “following” the event online. This means you have the opportunity to meet face-to-face with literally thousands of potential leads. Where else do you have that opportunity? Furthermore, a successful trade show appearance can also help to build awareness of your brand while allowing you the opportunity to strengthen and develop your marketing strategy. Specifically, your trade show interactions can help you figure out what’s “working” in your marketing strategy versus what may need to be re-worked for your next trade show appearance. When you’re properly prepared for an industry trade show, the small investment you make to attend can pay back many times over. However, the key is being prepared and implementing some tips for success. For starters, you’ll want to consider your specific location on the trade show floor. If you’re renting out a booth and you’re a relatively new business, for example, it might make sense to pay a little extra for a corner booth (which will expose you to more foot traffic) or even a booth next to a major company. Of course, you’ll also want to have an attractive booth exhibit that includes eye-catching banners, signs, lighting, and the like. 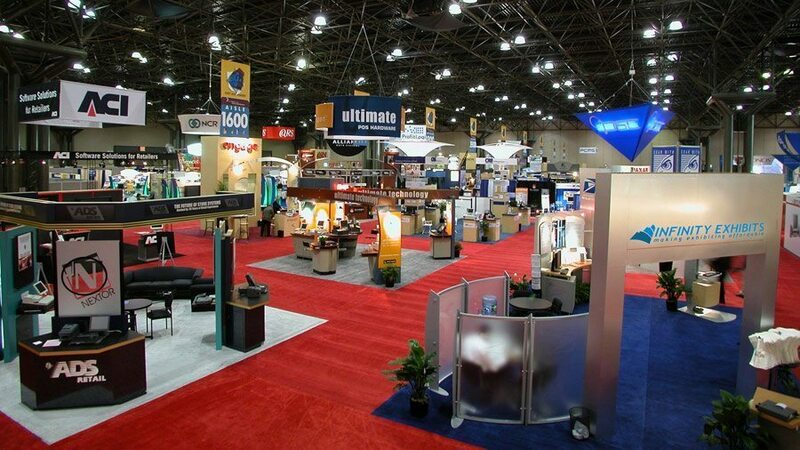 Turning to a reputable trade show display company that specializes in trade show exhibits can be helpful here. Carefully choosing which employees will attend the trade show and represent your company is also a must; be sure that employees are well vetted and properly trained to answer common questions and project an image of success for your company. Finally, you’ll want to make sure you have a reliable way of obtaining and storing contact information from booth visitors so you can follow up on potential leads as soon as possible. Attending trade shows could be the key to success for your business in 2017; just be sure to keep these tips in mind as you prepare for your first show.